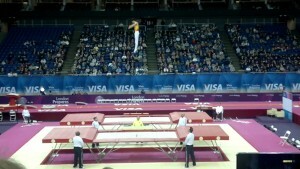 Best Olympic Trampoline - Trampoline for Me! “But I’m a different kind. I’m looking for a way to get beyond fun and make this trampoline do something useful for me! I want to work out, to practice my front and back flips, to do all kinds of crazy gymnastic stuff.” Is this something you can identify with? I did all sort of crazy stuff. But for now, let’s keep it relevant to the topic – I did gymnastics. And I wanted to practice at home. Now, it was an amateur thing, but I really wanted my flips to look great and to practice them I’d use a trampoline. And that is when I started thinking about a greater one. Olympic. 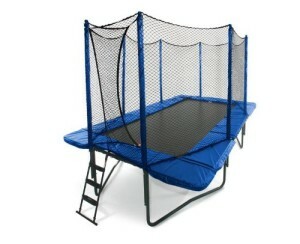 What are olympic trampolines? Essentially, it’s big and rectangle. It usually comes without safety nets as a default, but there are some varieties, of course (more on that later). When I say “olympic”, I mean olympic-sized – but size is what matters when you feel really adventurous with your sports! 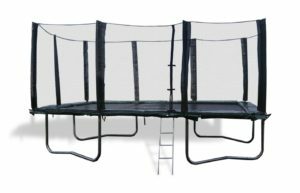 Imagine the possibilities – you can jump not just in one place, but back and forth as well, do flips, half-flips, cartwheels, armless cartwheels… Possibilities are endless. Oh, and you can jump higher. Much, much higher, as you can see on the video below. I’ll be honest with you – these are a little pricey. Price usually comes with the term “professional”. But that price is little compared to how much you can gain from it – if you’re really committed to using it to its full potential. 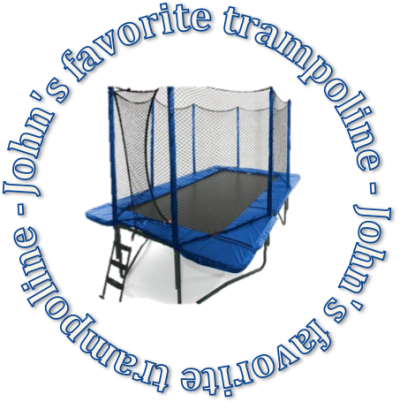 The reviews of the trampolines I’ll provide you with here are my best picks. If you have any questions or remarks, feel free to contact me! First of all, it has a massive 800 pounds weight limit, while limiting a jumper at 225 pounds! That means that if you want to train, you can jump as aggressively as you’d like and there is absolutely no risk that you can fall through or in any other way harm yourselves. That also means that you can bring your friends if you’d like and jump together. After all, it is 10′ x 17′ which is quite a bit. Really big. So what’s the price? This great piece of engineering has a quite hefty price tag, to be honest. But for that price, you get one of the best on the market, gymnastic equipment, source of fun… What else could you ask for?